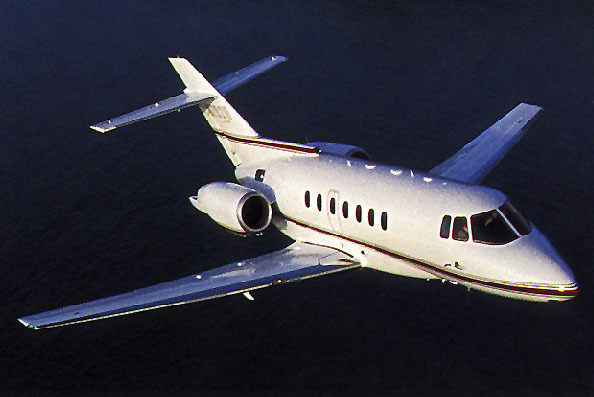 The Hawker 1000 jet charter is among the elite in the mid-size luxury jet charter category. Everything that is considered a priority in the way of luxury and private air travel has been incorporated into these ultra-luxe aircraft. The Hawker 1000 charter has the capability to transport passengers on transcontinental trips non-stop, with every luxury amenity that busy jet-setters have come to expect when they charter an aircraft for a private trip. Hawker jets are known for their operating efficiency and exceptionally lavish interiors. This luxury aircraft can carry up to 9 passengers in speed and style. The Hawker 1000 is produced by Beechcraft/Raytheon and based on the Hawker 800 model, with improvements and modifications, of course. Like the Falcon 50, this luxury aircraft boasts 24 feet of cabin space to provide a spacious and comfortable trip for all passengers. Suddenly, your flights do not feel so long and grueling when you are on a private air charter! This aircraft has a long range of around 3,500 nautical miles. So whether you are spanning the coasts of the United States, or heading overseas for that important conference, the Falcon 50 charter can more than adequately meet your expectations in luxury travel!